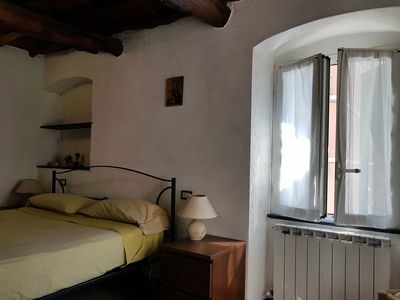 Detached house on two floors in the central village of Le Grazie di Portovenere, with a bedroom on the first floor, entrance from the street, hall and kitchen, satellite TV. The sea is only 100 mt. The house is located within walking distance of downtown shops and pharmacy items. The house is reachable by public transport, bus 20 min from the train to take a boat to the 5 lands.